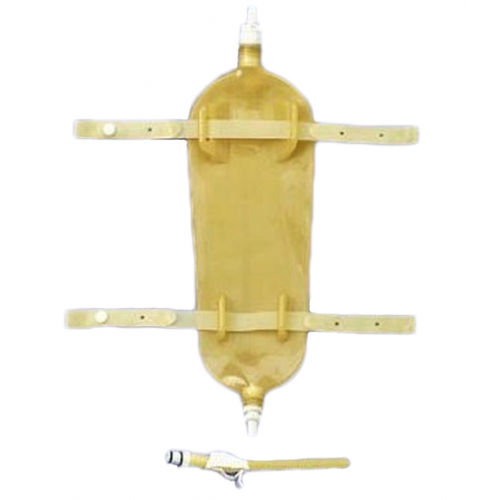 Alpine Reusable Latex Leg Bag by Mentor is a durable leg bag for catheterization patients, which provides optimum comfort and discretion for those with active lifestyles. 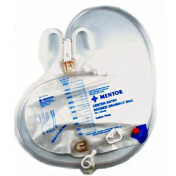 It features a unique two layer system, with the first layer locking in fluid, and the second trapping odor. The Alpine Reusable Latex Leg Bag comes with a twist-style outlet and a quick release bottom outlet. The optional offset entry port is perfect for wheelchair-bound patients, as it permits unrestricted flow in the seated position. The Alpine Reusable Latex Leg Bag by Mentor features both left and right offset settings that represent which leg the bag is designated for when used on the inside of the bag. Offset left means bag points left when worn on either leg. Vitality Medical carries other Coloplast products, such as the Freedom Cath External Condom Catheter and Sween 24 Skin Protectant Cream. Twist Style Outlet and a Quick Release Bottom Outlet. 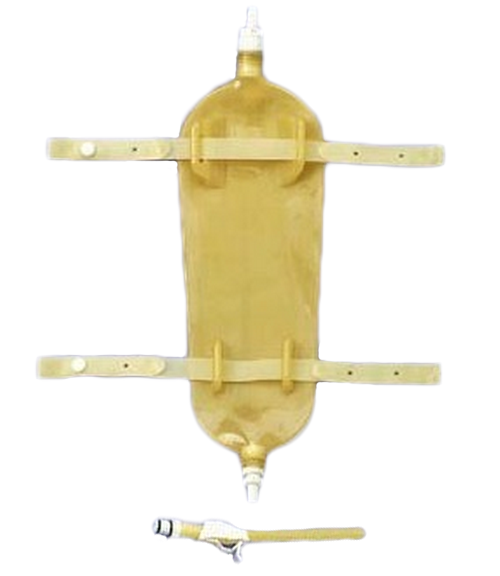 Urine Bag With Offset Port For Those With Wheelchairs. I am from Brazil and I'd like to buy this drainage system. Do you deliver to Brazil? 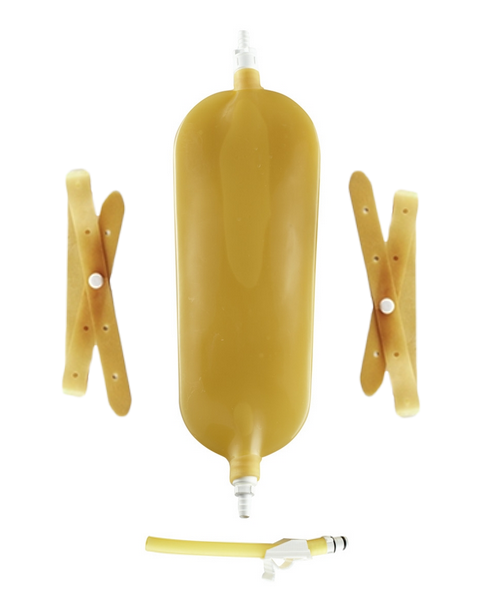 We are able to deliver to countries outside the U.S.
What is the difference in texture between the latex and silicone condom catheter?